This elegant, my gadget deserves the best, post has been brought to you by Truffol…. Everyone that knows me, knows I love my iPhone 5. In fact, I truly believe the iPhone to be the single best gadget ever created. Really. It (along with coffee) is one thing I wouldn’t want to live without (with the exception of my loved ones, of course). Since my iPhone 5 is so important to me, I want to encase it in the best iPhone case possible. And I’ve found just that… and luckily, luxury doesn’t mean a high-end price. 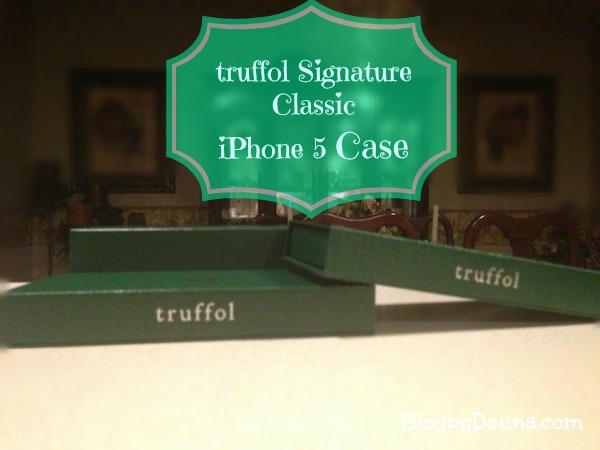 The Truffol Classic (part of their Signature line) case is the most luxurious case I’ve ever tried on my phone. My iPhone 5 deserves it, too. I was a happy girl when I received a package (and I do want to add that even the packaging the Truffol cases come in is elegant) containing my new iPhone 5 case. I received the Minimalist – which allows me to show off the sleekness of the iPhone 5 with the stainless steel back (it adds a mere 0.9mm in thickness) for $60 and the Classic which provides complete protection with a the richness of cowhide leather for a total of $75. Available in both silver and navy, the Signature employs a slide-in mechanism that secures the main frame with either a stainless steel cover to form a bumper-styled case, or an Italian leather cover to form a full enclosure. The Stainless Steel bumper, the Minimalist, adds a mere 1.3mm in thickness and a rubber coating for a firm grip. The Italian leather cover, the Classic, provides a fine touch and texture found in high-end leather goods. Note: This photo does NOT do this case justice. As you can see from the photo above that the Truffol Classic is a quality case. If you’re like me and want a quality case with elegance, it’s nice to know that you can buy a luxury case without a luxury price tag. My husband is trying to take it from me. I warned him to keep his hands off my case if he knows what’s good for him. I’m kidding… maybe. A little. Seriously, he probably should keep his hands off my ‘Classic’ case. My husband does have good taste and recognizes what an elegant case it is. I told him to go to Truffol.com and enter to win one of Truffol’s “Signature” cases for himself. They are giving away 5 cases a day through July 10th to celebrate their pre-launch, so be sure to go enter for your chance, too. Truffol emerged from a rich background in the manufacturing of luxury time- pieces. We have years of combined experience with sophisticated assembly processes and a wide array of precision technology. Through countless years of collaborations with luxury brands, we have mastered the art in creating fine luxury. I feel good just holding it. In fact, it feels like my phone doesn’t even have a case on it. All the cases (which is quite a few) I own add weight and bulk to my iPhone 5, the Truffol does not. I’m not easily impressed, but the craftsmanship of the Truffol Minimalist and Classic is top-notch. The Signature employs meticulous nylon brushing, yielding a smooth texture without any unpleasant graininess or fingerprints. Our fine Italian cowhide, sourced from Santa Croce sull’Arno in Italy, is trimmed to an incredible thickness of 0.4mm. Every case represents unbelievable man-hours by expert craftsmen to ensure a wrinkle-free finish. I’m thinking the Truffol Classic iPhone 5 case will make a great gift… I know a few people (don’t want to mention any names and spoil the surprise) who would love to receive one. 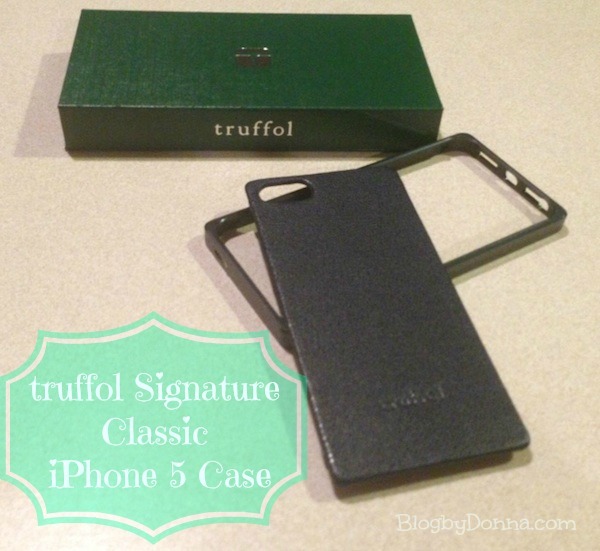 I truly cannot recommend the Truffol Classic iPhone 5 case more. I am certain you will be impressed, too. 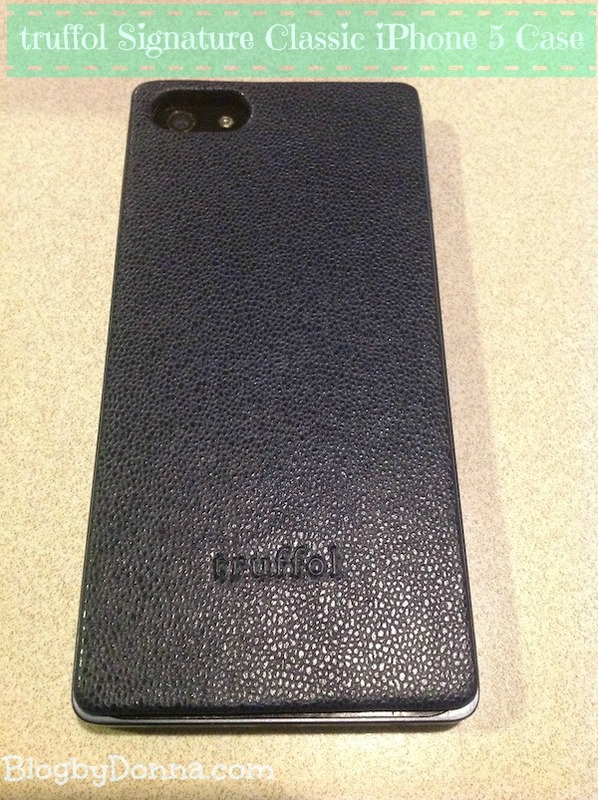 Besides, doesn’t your iPhone 5 deserve to be protected by luxury and sophistication? You can follow Truffol on Twitter (they are engaging), like Truffol on Facebook for news and updates, and follow Truffol on Pinterest to see all the cool things they pin/repin. It’s a little too upscale looking for me but I know many professionals who would love it. That’s a really nice case. Love the design of this case! Im going to check them out because I need a new case. I need a case for 2 kindles. Sounds like a nice case! I am an iPhone case hoarder (among other things! ), and I love cases that are good quality: this one looks like it would totally fit the bill for me. That case looks really, really nice! I like how slim it looks and the full enclosure! WOW! It looks really classy! I AM impressed! My best pally (my iphone) deserves a little spoiling! A case is a must but I can’t do plain black like this. I just got an iPhone 5 about two weeks ago, after years and years of being a Blackberry girl. I can’t believe what I’ve been missing out on all this time. Love, love, love. It *totally* deserves this case. Thank you for the review. I cannot wait till it comes out for purchase (just put my “reservation” in on their site). It looks like the perfect case when you’re going on a business meeting. Looks classy. That is one snazzy looking case! I really should get a case for my phone. I like that this one is not bulky. I just got an iPhone4 and my very first phone case. I’ve never found cases useful but now I understand why you need cases with iPhones. You case is pretty cool! 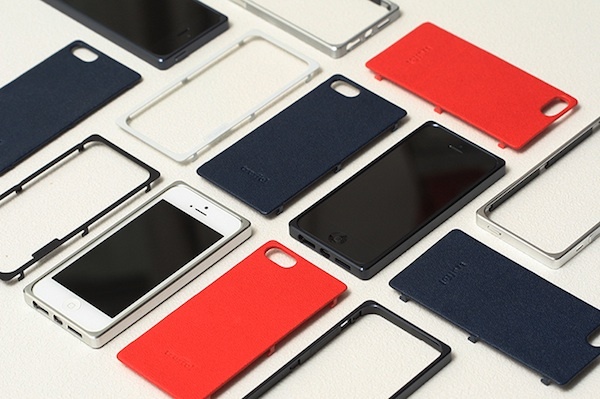 Those are really nice cases (I love the red case!) and it’s so important to keep our phones protected as they break so easily. A good case is so important and I like the classic look of that case! That’s a nice case. My husband needs one. It does look so elegant — wonder if they make cases for those of us on the Android team? This looks like a really nice iPhone case! They did a good job of designing the case to not make the phone too bulky. Great review Donna! How well does the Minimalist protect the screen/back of phone? I’m afraid I’ll drop mine and crack the screen or scratch the back somehow. But I just LOVE the stainless steel Minimalist… Thanks!